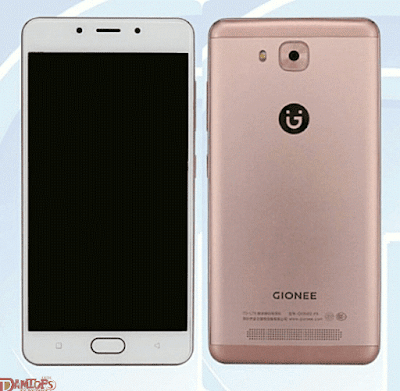 The Chinese telecommunication company Tenaa has certified a new mobile phone from Gionee brand, this device is to be named Gionee F5. According to Tenaa the new device is set to be powered by octa-core 1.5GHz processor, and sports a 5.3-inch HD display. Other specs set to be included, the Gionee F5 would make use of 4GB RAM and has it's internal storage set at 64GB. The camera range for the Gionee F5 is set at 13MP rear camera and an 8MP front shooter. Size of the Gionee F5 Measures 150 × 74.5 × 7.7mm and weighing in at 162g lighter than the popular Gionee M5 with 211g. The device runs Android 6.0.1 Marshmallow and packs in a large 4,000mAh battery. The device's colour is set to be in two variants include white and gold.